WASHINGTON (Reuters) - U.S. President Donald Trump on Monday dispatched U.S. Secretary of State Mike Pompeo to meet with Saudi Arabia's King Salman over the unexplained disappearance of prominent Saudi journalist Jamal Khashoggi and raised the possibility that "rogue killers" could have been responsible. Trump said he spoke to the Saudi king for about 20 minutes about Khashoggi, who disappeared after entering the Saudi consulate in Istanbul on Oct. 2, and that it sounded like neither the king nor Crown Prince Mohammed bin Salman had knowledge about the incident. "I sounded to me like maybe there could have been rogue killers. Who knows?" Trump told reporters at the White House. He offered no evidence for why he thought rogue killers might be involved. Representatives for the White House did not immediately respond to a request for further comment. "We are going to leave nothing uncovered," Trump told reporters. Salman's denial, however, "could not have been stronger," he added. 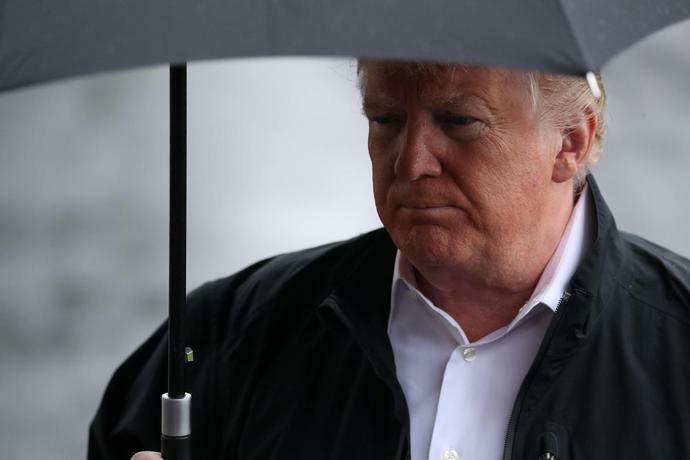 At the weekend, Trump threatened "severe punishment" for Riyadh if it turned out Khashoggi, a prominent critic of Saudi authorities and a legal resident of the United States, was killed in the Saudi consulate in Istanbul. Saudi Arabia, in turn, threatened to retaliate. But Trump has said he is wary of halting U.S. military sales to Saudi Arabia over the incident. Earlier on Monday, Salman ordered an internal probe into Khashoggi's disappearance while a joint Turkish-Saudi team was set to search the consulate. Trump said the king told him on Monday that the two countries were working very closely on the case.